Ramaphosa’s Stimulus Plan: One month later, where does it stand? South African Airways (SAA) is so debt laden that selling it now would make its debt payable immediately and possibly collapse the fiscus, President Cyril Ramaphosa said. Ramaphosa was responding to questions in Parliament on Tuesday. DA leader Mmusi Maimane had asked the president's position on the troubled airline, as it appeared that Finance Minister Tito Mboweni and Public Enterprise Minister Pravin Gordhan had different view points on SAA's future. Mboweni has been vocal about privatising state-owned enterprises and during his mini-budget said there are "no holy cows", while Gordhan has tasked SAA's board notice to stabilise the airline's finances among other things. Ramaphosa said he knows that Maimane's stance is to close down the airline, but that course of action is problematic. "Here is the reality – SAA is laden with debt right now, as we speak, it is laden with debt for a whole number of reasons …If you were to say today sell SAA, we would not be able to get any value for it," he explained. The debt SAA carries is significant and underwritten by government. "If we shut it down it means the debt of SAA becomes payable immediately. Immediate payment of that debt has an impact on debt carried by all other state-owned enterprises and that can collapse the fiscus." The future of the airline is linked to how it is stabilised, the president said. One way to do that is to get a strategic equity partner to help take the airline forward. Rather than shutting down the airline, Ramaphosa said it is important to first stabilise the airline. 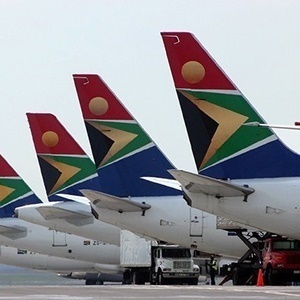 Treasury has allocated R5bn to SAA to stabilise its debt, R14.2bn of the airline's debt falls due in March 2019.